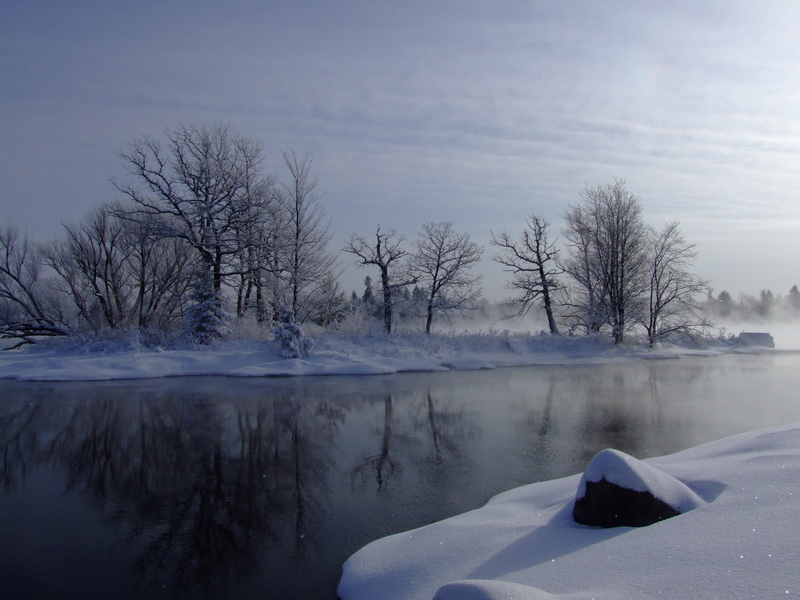 Constance Lake’s Elizabeth Moore enjoyed meeting people from India, Japan, Korea and Germany at Fort William Historical Park’s Voyageur Winter Carnival 2016. Moore helped out with the giant snow maze during the Voyageur Winter Carnival, which was held from Feb. 13-15 at the Thunder Bay-area tourism facility. The Voyageur Winter Carnival also featured helicopter rides, skating and curling rinks, tubing on the Amphitheatre hill, sleigh rides and snowshoeing. 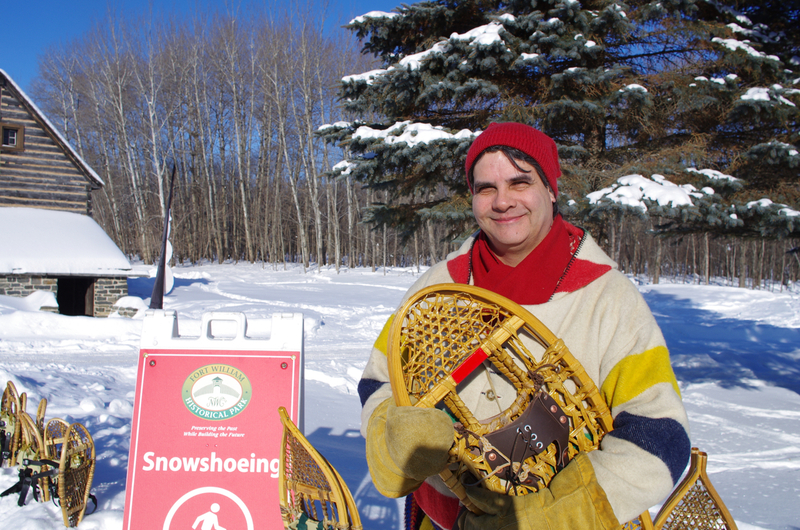 Lac La Croix’s John Walmark shared some of the history of the area with visitors at his snowshoeing station. Walmark also shared how the Anishinabe learned from everything around them, noting the shape of the snowshoe is based on the snowshoe hare. Walmark encourages other Anishinabe people to get involved at FWHP. Walmark says he tries to incorporate teachings and lessons into his presentations at FWHP. Walmark says his clan, the bear clan, is responsible for protecting the culture and the people.